Recent studies show in the US, nearly 30 million Americans have diabetes while 86 million have pre-diabetes, the precursor to the full-blown disease. Rates have been on the rise since 2010, a trend that's being echoed worldwide. The rise is due to type 2 diabetes, which is closely related to obesity, another condition that's been on the rise globally. 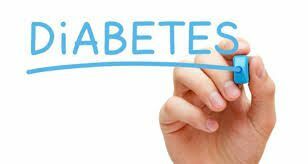 Diabetes is linked to pre-cancer or pre-heart disease because the insulin resistance is damaging to all the body's tissues including the brain. What can you do to lower your Diabetes Risk? Swap one sugary beverage for an unsweetened one, such as water or unsweetened coffee or tea can lower your diabetes risk by up to 25%!